The sole piece of documentation included with my Lunar Flight sample was the controls readme file. It covers the key binds for both the keyboard and XBox 360 controller users (a labeled JPG file is included for the XBox 360 controller layout). Within the game it’s possible to reassign these bindings to other keys as well as buttons and axis on a joystick. In practice, reassigning works easily enough. The biggest barrier (which took me about an hour to solve) was figuring out exactly which joystick axes I wanted to control what thrusters. At first blush, I approached this much like an aircraft. But in reality the space craft in Lunar Flight offers many more degrees of control than an aircraft. For example, not only the main engine thrust upward, but also RCS thrusters in the opposite direction, essentially pressing your space craft down against the ground. Not only roll, pitch, and yaw RCS commands, but lateral translations in the X and Y planes. Every joystick will have a layout it’s owner prefers, of course. I had no problems finding plenty of room on my Saitek X45 to bind everything I wanted. 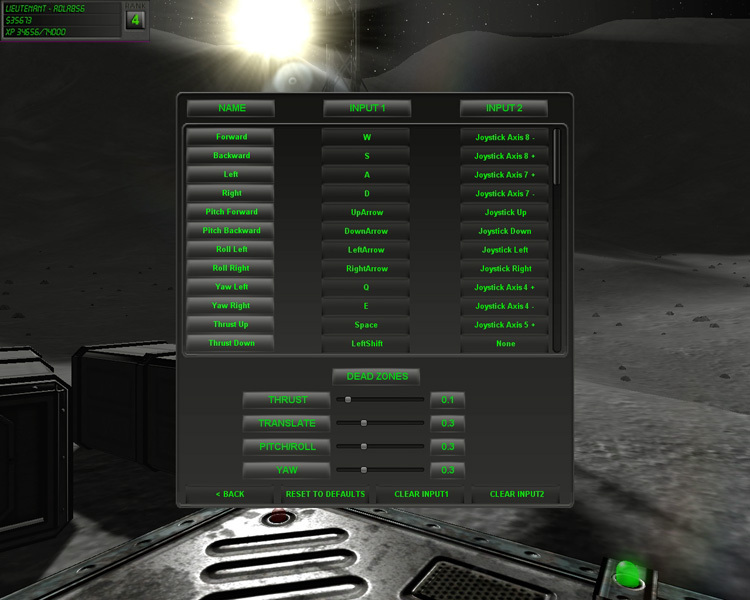 Included with Lunar Flight is a registry file “fix” that adds support for some joysticks. In my case, running this fix was required to get my X45 functioning properly. I simply double clicked the registry file and clicked OK on the confirmation message. One control I missed was an ability to “look around” so to speak, whether through a hat switch or some other method. 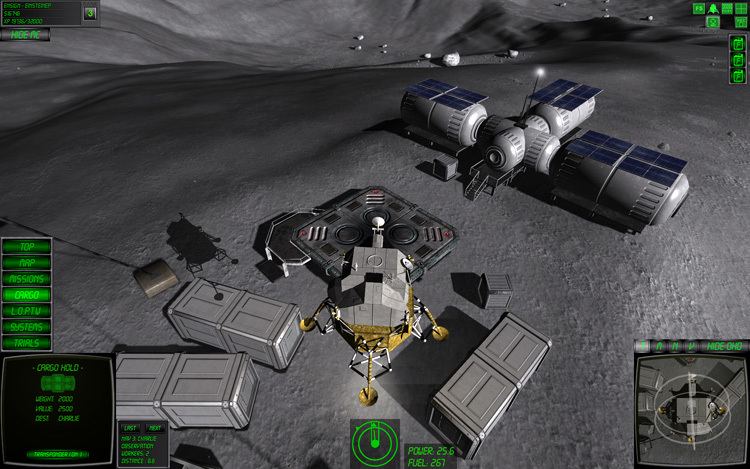 Aside from making touring the lunar landscape more interesting, this kind of functionality would also aid when scanning for lost cargo among the rocks on the ground. That said, the field of view from the HUD and chase cameras are nice and wide, thankfully. 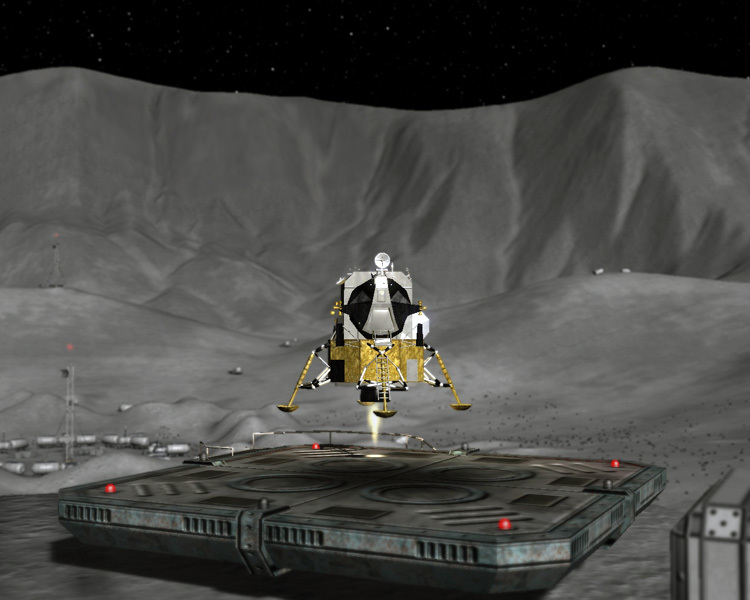 Lunar Flight wraps an enjoyable physics simulation in an approachable and fun package. 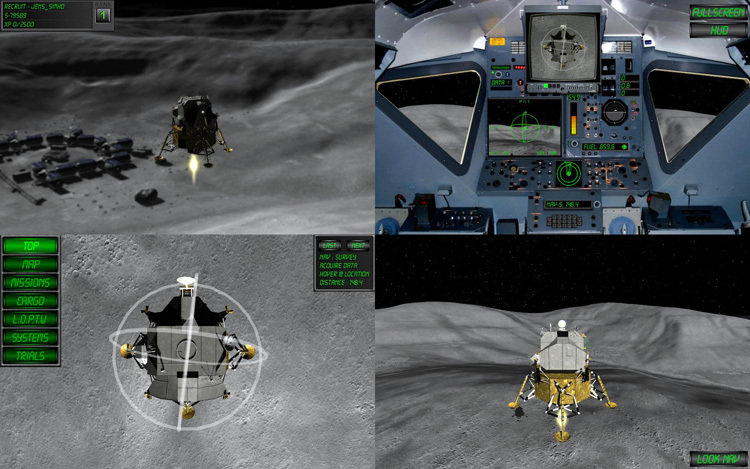 Working to master the physics and controls is, for me, the high point of what Lunar Flight offers. Chasing the upgrades provides a fun motivation to work through the missions while reaching for the more difficult challenges. Though the four mission types can grow a touch repetitive after a while, they do provide a solid basis for progressing through the three unlocked maps, and offer an element of risk/reward decision making to the player. For the asking price, Lunar Flight offers a solid return of very enjoyable gaming. Players who work beyond using simple lateral movements, stepping into pitch and roll maneuvers, and those looking to try their hand at rankings on the trials leaderboard will enjoy even greater challenge. Some extra mission types would be nice for variety. HUD velocity indicator cross is small and sometimes easy to lose. Resolution limitations could be problematic for some players.